SANTA BARBARA, Calif.--(BUSINESS WIRE)--In celebration of International Women’s Day, a globally-recognized commemoration that highlights the social, economic, cultural and political achievement of women, UGG® (a division of Deckers Brands, NYSE: DECK) is launching a multi-channel campaign and donation to support HERproject. Starting today, and continuing through March 11, 2018, UGG® will be donating 5% of the retail price of all ugg.com and United States UGG® store sales to HERproject. HERproject is a collaborative initiative managed by BSR (Business for Social Responsibility) that strives to empower low-income women working in global supply chains. Bringing together global brands, their suppliers, and local organizations, HERproject drives impact for women and business via workplace-based interventions on health, financial inclusion, and gender equality. UGG® forged its relationship with HERproject in 2016. 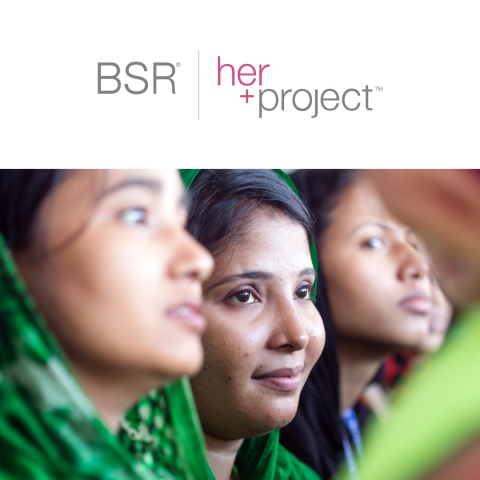 BSR's HERproject is a collaborative initiative that strives to empower low-income women working in global supply chains. Bringing together global brands, their suppliers, and local NGOs, HERproject drives impact for women and business via workplace-based interventions on health, financial inclusion, and gender equality. Since its inception in 2007, HERproject has worked in more than 700 workplaces across 14 countries, and has increased the wellbeing, confidence, and economic potential of more than 800,000 women.